This weekend many people will visit places that remind them of something significant in their lives. Flowers will be placed on headstones and prayers will be prayed as we remember loved ones who have passed and soldiers who have given all for freedom. In scripture memorials were erected to honor what transpired but also to teach others that followed in their footsteps. When Joshua made it through the Jordan on dry ground, he piled up 12 stones, representing the priests who stepped into the water as it stopped. Each time someone comes to that place they will see the stones and remember the story. This weekend may the Lord bring peace to you and cause you to remember the good moments and honor those that have meant so much to you. May those memories inspire you to do more, be happier and live more fully. God still has a plan for YOU and that plan will bring you everything you need to live a fulfilled life. Trust the plan and you will succeed! 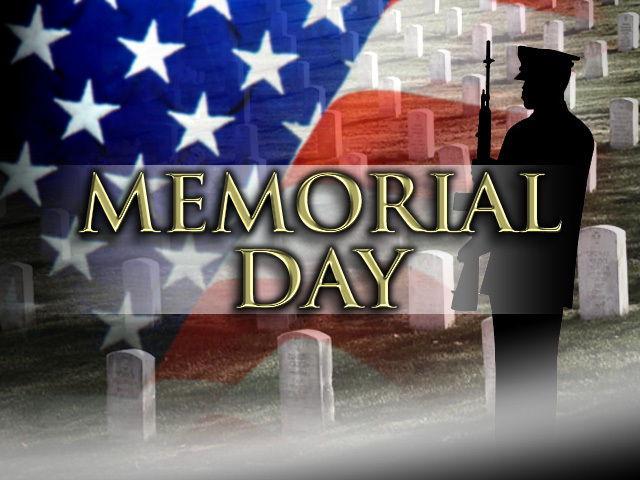 Thank you to those that gave all and defended the freedom we enjoy today. We honor you and your service to these United States of America. God bless you!